In particular, according to the report, “Biologics Development and Manufacturing Testing: Technologies and Global Markets,” the recent patent cliff means biosimilar generics are placing mounting pressure on drug innovators to bring new products through the drug pipeline faster. 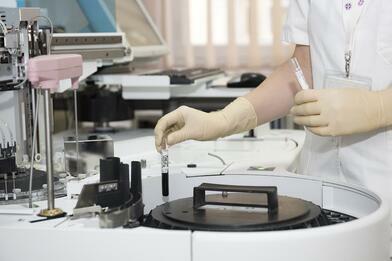 The biosimilar market is having a large influence in Europe and Russia, the report notes. While the regulatory environment in the European Union similar to that which is found in the United States, the market is full of complex hurdles, ranging from research and development of manufacturing and marketing. Regardless, the increasing role of biosimilars means that there will be an increased demand for safety testing. This new era of biosimilars is bringing many big names to the market. In 2015, Merck completed a $17 billion acquisition of Sigma-Aldrich to create a new company, EMD Millipore. The combined companies employ 50,000 workers in 66 nations around the world. Another major name in the biosimilar market is Intertek Group, which is based in Manchester, England. Intertek has more than 20 years of experience in the biopharma development market, including biosimilar testing services. Based in Switzerland, Lonza Group was founded in 1897 and today employs more than 10,000 full-time employees in some 30 countries. In 2009, Lonza partnered with Teva to develop and manufacture biosimilars. Another Swiss company heavily invested in biosimilars is SGS S.A., which has more than 90,000 employees operating in some 2,000 offices and laboratories around the world. The BCC Research report notes that SGS maintains a vigorous biosimilar testing service which provides an accurate analysis of the material at every stage of development, from determining sequencing to matching the biosimilar to the original drug. With the rise in biosimilars entering the market, it is anticipated that the market for biological safety testing in the European Union will grow substantially. That market was estimated at $1.2 billion in 2017, the BCC Research report notes, and is predicted to reach a value of $2.9 billion by 2022, resulting in a CAGR of 19.7%. For more detailed market insights on the global market for biologics safety testing, download the free report overview.